Replacement lenses for any Axovus goggles. 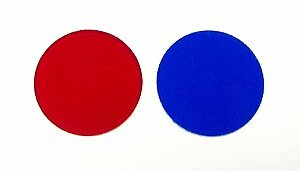 1 Red and 1 Blue color replacement lenses. Can be used to watch old school 3D movies. Replacement lenses for any Axovus goggles. 1 Red and 1 Blue color replacement lenses.